Come and experience this specialized Shtetles tour with Dr. Tomasz Wisniewski in Bialystok, Podlaskie region in Poland. This tour is for small villages (Shtetls) only. This is not the tour you want to visit large cities like Krakow or Warsaw. Tomacz is in an expert in Bialystok region, and East part of Poland from Tarnow to Suwalki. He offers family, multi generational tours to find out clients roots in a personal and historical basis. Tomacz is not an ordinary guide, but an academician, journalist, researcher and filmmaker. He is a recipient of several awards among them prestgious Zygmunt Gloger prize. 30 years ago at the Jewish Festival in Kraków together with Krzysztof Czyżewski he received a diploma and the Silver Violin medal from the State of Israel in recognition of his activities documenting Jewish heritage. In 2018 the Polin Museum Awarded him the Podlasie Marschall Award. Few examples of and benefits of taking tour with him - Click Here to see one of the videos he recorded for client. He is native Polish speaker with fluent English and Russian and some Hebrew - good enough to read and desipher headstones. Dr Tomasz Wisniewski spent 25 years working in Jewish Cemeteries in Poland and he has authored the books “The lost world of small town Jewish Cemeteries”, “Jewish Bialystok” and : Synagogues and Jewish Communities in Bialystok region”. 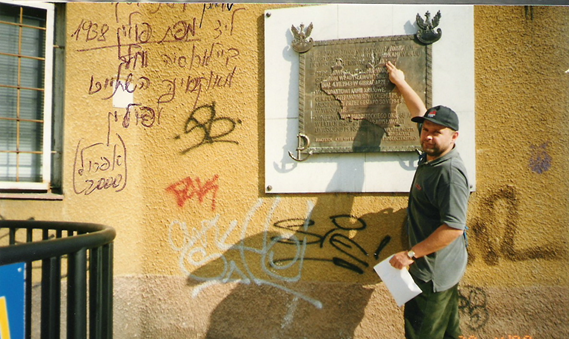 This region holds a special place and is symbolic of the lost of rich history and culture as a direct result of the Holocaust and Nazi Germany widespread actions of their occupied lands. Local Jewish landmarks have been obscured or totally erased. If you do not know where to look you will miss seeing what little does remain in this region. Cemeteries are most often overgrown with vegetation and in some cases newer construction of roads, walls, or buildings by using Jewish Headstones. These locations, for the most part are not known by the current inhabitants. The loss of that generation due to the passage of time make first person accounts of these places more difficult and less reliable. The elderly person that might remember and share what or where these structures once stood have been fading fast. The author and guide of this private tour have spent more than 25 years carefully researching the clues that do remain. 1. Knyszyn (Knishin) – the only one in the world Jewish cemetery located on former Kings water pools (remnants of King Castle). Knishin was the birthplace of Knishes. 2. Bialystok. Bagnowka Jewish cemeteries. 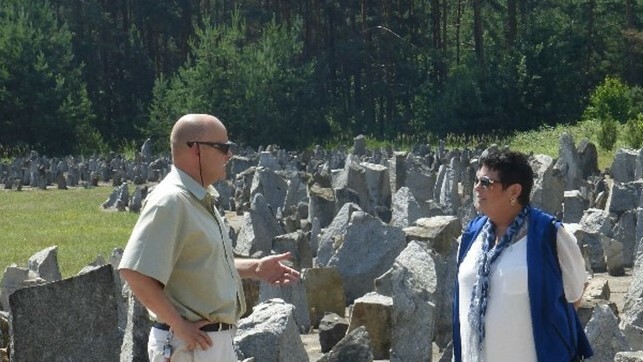 Approximately 7000 gravestones left, throughout them about 2500 translated and documented by Tomacz. This is where the Bialy and Bagel originated. 5. Some roads paved by Jewish gravestones (still seen). 6. Unique symbols on Jewish cemeteries' sunflowers on Jasaionowka Jewish cemetery, ancient animals on Sokolka Jewish cemetery, etc. Milejczyce, Rudka, Krynki, Punsk (the last survived in Poland built partly by wood). Last Chasidim Shtetls in Krynki. Last Ritual Bath built in XVIII cent. Bocki. 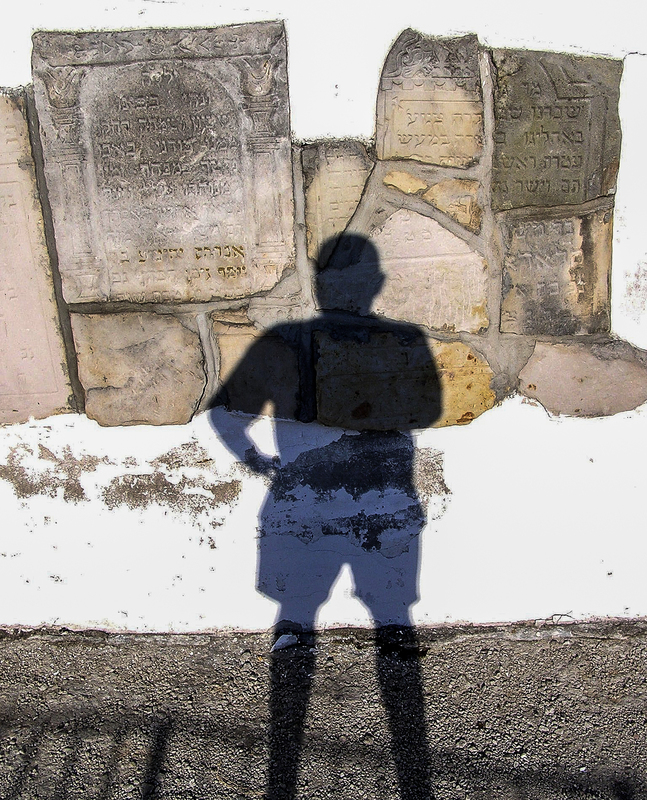 Shadows of former Jewish life. 3. Magen David on Brick symbols (Krynki, Tykocin, others). Rural Jews, Jewish Farmers: Palestine Village. Presentation of the films related to former Jewish shtetls, usually based on a stories of ancestors, siblings, about Bialystok, Wysokie Mazoiweckie, Michałowo, Zabludow, Gródek, Milejkczyce, Soemiatyczec , Krynki and many others (films with English subtitles). As a journalist T Wisniewski has a good connections with local people, historians as well with local government. Some have an amazing collection of Hebrew books and he knows Hebrew perfect and others. Old photographs: huge collection of old photographs. Diversity of Bialystok region: Ukrainian villages, Belarussian villages with wooden orthodox church, Muslim villages with wooden mosques, former German churches (protestant), Orthodox monasteries (Suprasl, Grabarka, Old Beliveirs villages. Museum of Tatars of Icon. Food: diversity of the food of region, many special places. No kosher food provided in a region. The private tour can be personalized and various means of transportation are available. Transportation is for small groups - 5-7 seats minivan. Click here to read references.